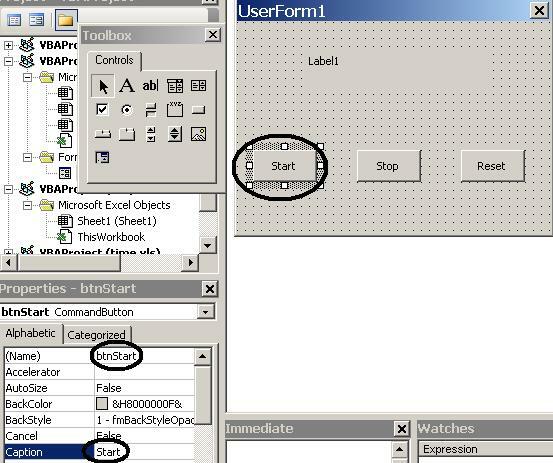 This tutorial uses the VBA timer to create a stopwatch on a userform. You can use either Excel or Word. First, go to the VBA Editor/IDE; ALT + F11. Right click on any line/branch in the VBAProject Explorer at the upper left below the toolbars. 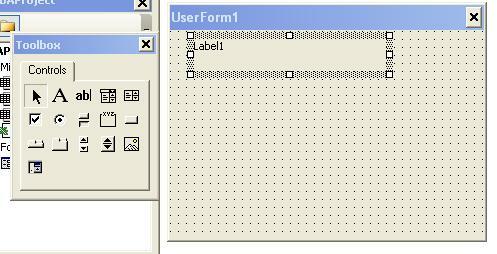 Go to Insert and click on UserForm. 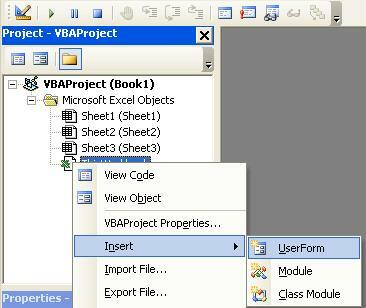 Click on the capital A, which is the VBA Label control, and then drag the mouse on the form in a down and to the right fashion to create a label. You can resize the label after you have draw/created it by using the white squares along the border of the label. SIDEBAR----- you can also resize the form by clicking on any blank space on it and using the white squares along the border. Next, click on the commandbutton and create three of them along the bottom of the form. Next, using the Properties window, rename the captions from their defaults to Start, Stop, and Reset and the button names to btnStart, btnStop, btnReset. When you click on a control, here a button, you can change its properties. Please note that this VBA timer is only exact to the second and not anything less than.